Visit the website, thank you. Medico Kurohime acupuncture clinic will be the fifth year from the hospital opening the Shinanomachi clinic. Treatment policy of the underlying will be as "evidence", "FiveStylesCombinationTechnique". This clinic is, and conduct the treatment in cooperation with health care workers, which was observed in the country, such as a doctor or care manager. So, based on National Health Insurance of the management of consent doctor depending on the disease, the late elderly health, to apply such compulsory automobile liability insurance due to traffic accident. The "evidence", in the sense that the scientific evidence, in the absence of effect, it does not make "acupuncture" and "moxibustion". In recent years, ○○ therapy, ○○ treatment, such as therapy that description does not stick has overflowed, do not do such treatment. The "FiveStylesCombinationTechnique", "clarity to patients, treatment methods visible," it is thought of our hospital is a thing of. In our hospital, to some extent, patients will be able to determine the treatment content while watching such as interview and physical examination. While taking the patient and communication will provide treatment that meets the patients in it. Five we have named "FiveStylesCombinationTechnique" from place to treatment using procedures (patients gave me named). You do not get rid of, you do not know, please come in once our hospital If you have any. 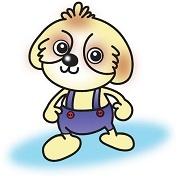 In ♂ of "Halle-kun" is a Shih Tzu (3 years old) also has image character honorary director of our hospital is also a therapy dog. Please choose your visit to actually clinic dog with confidence because it does not have. "Kurohime acupuncture clinic", the Doctor of Medicine Machida Masahide teacher of Shinjuku Tokyo "Medico Shinjuku acupuncture clinic" is becoming adviser. We will allowance cherish the "Tanagokoro". If you have given up, such as "go away not", please try receiving treatment After you contact us in our hospital.